We will look over the applications and create a shortlist of students, which we will announce on Tuesday 10 May. If shortlisted, you will be asked to do a 5 minute presentation to a small panel, who will judge you on the criteria set in the application form. Please ensure you are available to present your idea on the morning of Thursday 12 May. 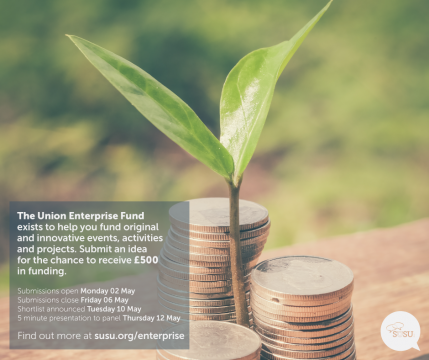 Depending on your application and requirements, the chosen student will receive up to £500 to get their idea off the ground! « Work with us at Laughter Lounge!